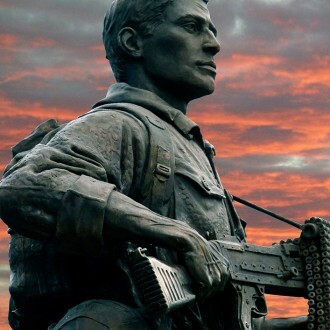 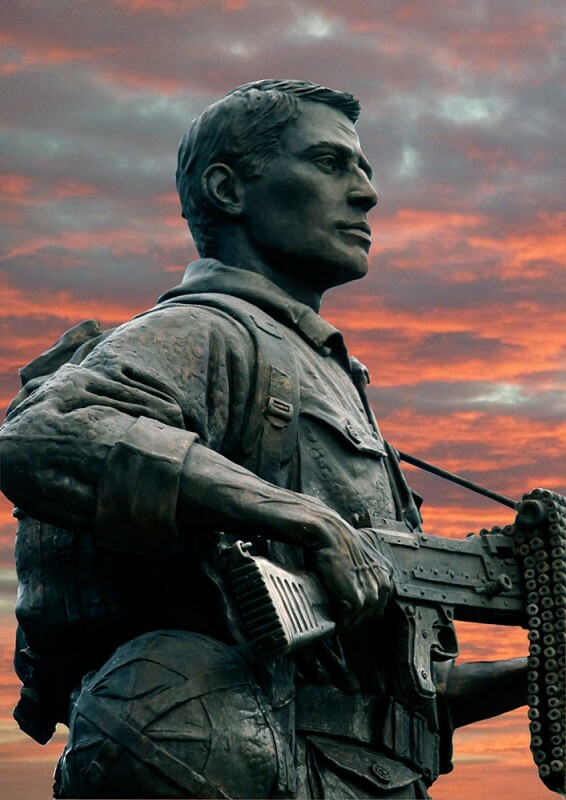 The Machine Gunner stands astride on the Royal Anglian Regimental Memorial at the Imperial War Museum, Duxford, Cambridgeshire. 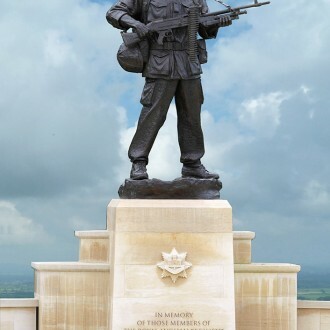 The memorial is in memory of those members of The Royal Anglian and the East Anglian Regiments who died on duty. 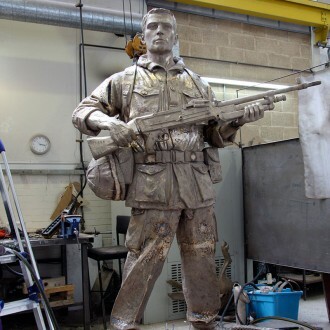 It was dedicated in a ceremony on 12th September 2010, in the presence of HRH The Duke of Gloucester, Colonel-in – Chief.